Think We Can't Afford Clean Energy? Think Again. Think We Can’t Afford Clean Energy? Think Again. NOVEMBER 28, 2017 – Most of us here in New Jersey — 89%, according to recent polls — want clean, renewable energy. When we transition from fossil fuels to renewables, our air will be cleaner and we’ll be doing our part to combat climate change. But how do we make the switch and how can we afford it? As it turns out, making the switch is both achievable and affordable. That’s the finding of “A Clean Energy Pathway for New Jersey,” a new expert report by the Institute for Energy and Environmental Research and PSE Health Energy. 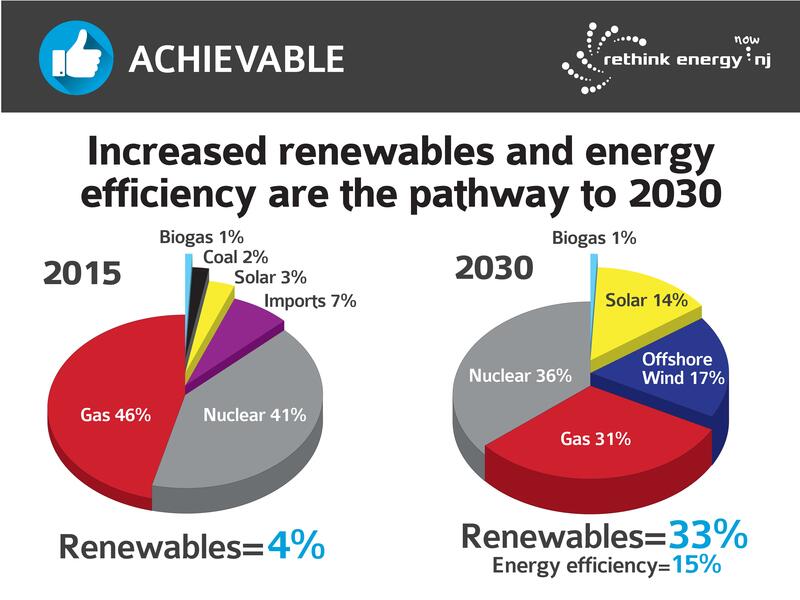 The authors present a plan that includes 1) reducing energy waste and improving efficiency gains by 2% each year; 2) supporting the continued growth of solar energy and 3) developing a portion of New Jersey’s vast potential for offshore wind, so that 33% of the state’s electricity comes from renewables by 2030. By taking these steps, New Jersey would see its power-sector emissions cut in half by 2030, which is necessary to put the state on track to achieve its long-term goals under the Global Warming Response Act. 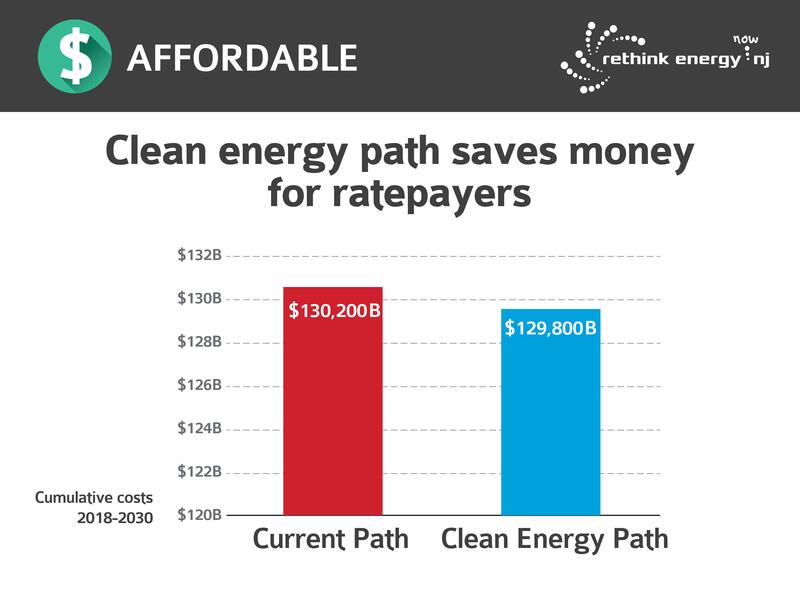 Most importantly, the clean energy pathway won’t cost a penny more than our current energy mix that relies heavily on natural gas, a polluting fossil fuel. Cost savings will result from consumers and businesses investing in energy-efficient products liked LED lightbulbs, hot water heat wraps, caulking, and ENERGY STAR® appliances. These investments would generate enough savings to offset the the clean energy pathway won’t cost a penny more than our current energy mix that relies heavily on natural gas, a polluting fossil fuel.the clean energy pathway won’t cost a penny more than our current energy mix that relies heavily on natural gas, a polluting fossil fuel.cost of power from in-state renewable, which are higher int he near term but will ultimately become the least-cost energy sources. The costs of renewable energy are falling fast. Nationwide, the cost of electricity from large photovoltaic (PV) solar systems (like the panels you see on many homes) dropped from 28 cents per kilowatt hour in 2010 to six cents in 2017. Onshore wind energy costs have seen a similarly dramatic decline. Today, in many parts of the country, wind and solar are already the cheapest source of power. In light of the urgent need to increase energy efficiency and renewables, and the rapidly-declining costs of doing so, New Jersey has an incredible opportunity and some important policy steps to take. First, let’s get the right policies in place to ensure the continued growth of solar energy, and to encourage appropriately-sited wind energy off our coast. Second, we can emulate our neighboring states and incentivize utilities to reduce energy use. Currently New Jersey is far behind in energy efficiency. In 2016, New Jersey reduced its electric use by only 0.44%. In contrast, New York lowered usage by 1% and Massachusetts by 3%. According to the American Council for an Energy-Efficient Economy, New Jersey is now only the 23rd most efficient state. Third, we can boost local jobs through increased investments in energy efficiency. About 31,000 New Jersey residents work in energy efficiency, according to U.S. Department of Energy data. 64% of those jobs are in construction, which includes installing energy efficient heating and air conditioning systems and other energy saving upgrades. Another 9,000 residents work in solar generation. The clean energy economy has arrived, and it represents about 80% of all energy sector jobs in New Jersey. There’s broad consensus that fossil fuel emissions threaten our health, our planet, and our future, and that the time is now to shift to renewable energy. 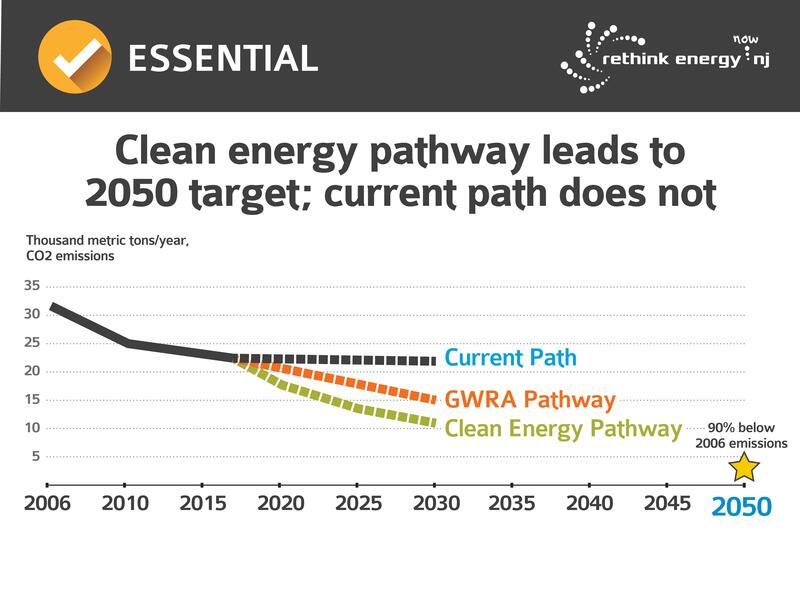 The “Clean Energy Pathway” report shows that New Jersey can do it — affordably. 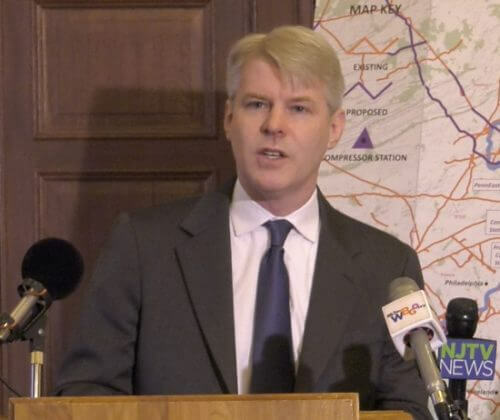 New leadership in Trenton can make it happen. With an affordable path to a clean energy future, New Jersey can become a national leader again.